← Is it time for 3G Mobile Operators to integrate with Skype now it’s synonymous with Video Calling? It’s great to see more conferences sharing videos of their presenters so widely as I can’t think of a better advertisement for the next event in Paris next June (register today for the 50% online rate) and think the act of sharing reflects very well on the brands that invest in their time and financial support. Apart from Mobile Operator mHealth teams is anyone else convinced this is an effective solution to counterfeiting of cheap pills? 2 years ago, Bright Simons, the founder of mPedigree (Orange’s technology provider on this initiative), reached out to us after I discussed several of the rather fundamental flaws that I could see in the solution being showcased as a mHealth solution to the $75 Billion counterfeit drug market. I was informed that the problem originated because the video I’d watched was already 2 years old (made back in 2008) and showed an early pilot of the service that had by 2010 “evolved considerably since then, and benefited tremendously from forensic advice from members of the pharmaceutical industry, our strategic partners and from our continuous development and integration of appropriate intellectual property“. I was assured that “all the security issues raised and many others not touched upon are already resolved in the latest models” but that due to “the confidentiality that comes with working with industry proscribes wide advertisement of our core activities in these areas” this information couldn’t be shared. So imagine my surprise to see that 4 years later and there are still some very basic and obvious flaws in the service. 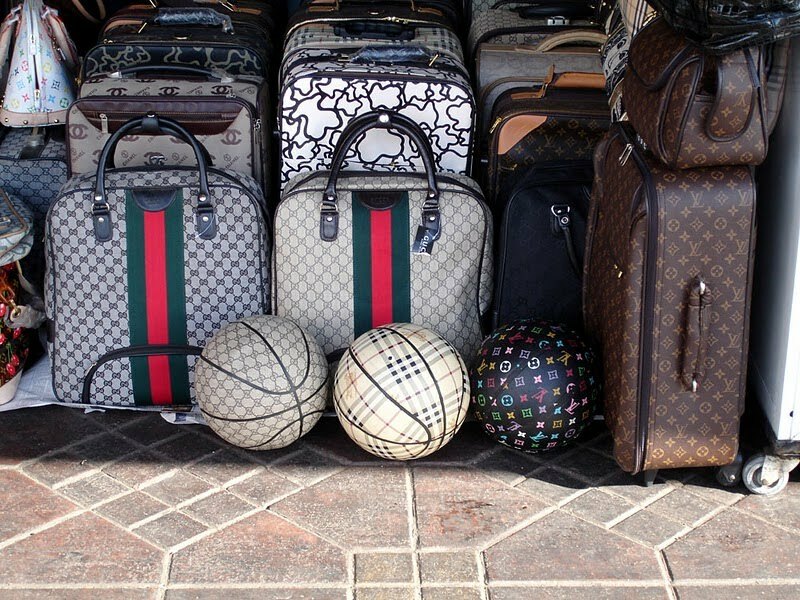 Where is the addressable counterfeit problem? The location of this video suggests that the problem is with retail pharmacists who are corrupt, ignorant or deceived by their distributors. If this is the case surely it’s not icing the cake that’s needed but much more fundamental regulation of the industry? Are genuine pharmaceutical stores going to want to market Orange’s Counterfeit service? Perhaps I’m completely wrong about this but is trust in pharmacists in Kenya so low that they need to advertise ways customers can check with a mobile operator that they are aren’t dishonest peddlers of killer alternatives? Now I could easily accept that this would appeal to a guy who has a business selling out of a suitcase on the side of a road but is it actually helpful to give legitimacy to such uncontrolled distribution channels? Might this also contribute to the challenges that Kenyan patients face as a result of substandard medicines, improper handling/storage of medicines, etc? A very simple loop hole to this anticounterfeiting measure would be to just swap out the blister packs that are contained within the packaging. Another way would be for a dishonest retailer to simply cut the code strip off the package and stick it onto the packaging of a counterfeit copy. Another way would be for a dishonest retailer to copy the promotional posters featuring another shortcode number (all replies to customers state “this is genuine medication” of course). Another way would be for a dishonest distributor or retailer to completely undermine trust in the mPedigree technology by scratching thousands of the panels, making records of the data (to use on their counterfeit products that they’ll then distribute quicker than the genuine products) and reapply a silver colored latex covering on the scratch panel before it’s put back into the genuine distribution channel. I imagine it wouldn’t take more than a couple of customers saying “the reply text says this strip has been used already” before pharmacists that bought in would be immediately losing confidence in the system and ripping those posters off their walls. Isn’t this a missed opportunity to leverage the iPhone in the patients hands? How about a short URL linked to a mobile optimised URL that could provide more information on the medication and it’s use? Why not also incorporate tracking tech? Not only could this provide the retailers name to the customer but it could help reduce theft and give quality storage/handling assurances to patients. One of the big challenges in tackling the sale of counterfeit medicines in markets like Kenya is the shortage of pharmacists and training opportunities for pharmacists, the lack of checks on pharmacist registration so that they aren’t competing with quacks, the lack of laws and enforcement of IPR, etc. Unfortunately none of these will be addressed by putting the spot light on a easy to corrupt SMS authentication service and the failure of this service could just act to further undermine trust in genuine pharmacists products (eg. if I can confirm that I’m getting the same quality product off the quacks why would I shop with the more expensive registered Pharmacists?). If I was in Lyse Brillouet’s position instead of creating another high profile time bomb for company (they’ve already got enough of these) by providing assurances for cheap NSAID’s to patients thousands of miles away, I’d just take this solution 5 miles across Paris to the Avenue Hoche office of LMVH. Owned by Bernard Arnault, Europe’s richest man, this firm manages a wide range of luxury brands from Moët et Chandon Champagne to Glenmorangie Whiskey, Louis Vuitton handbags to Tag Heuer Watches, Guerlain cosmetics to Fendi Colognes to Givenchy perfumes, they even sell super expensive Christian Dior branded diamond encrusted mobile phones. 1. Not all pharmacists are shady. Many are good professionals who hate the fact that some dubious non-pharmacists who make up a good proportion of medicine retailers are tainting the whole profession. Good pharmacists are keen to position themselves as ‘quality merchants’. By teaching patients how to check they ensure behaviour change that sticks. I.e. patients now expect to check WHEREVER. So even granting that shady retailers will not collaborate in the public education does not invalidate the model. 2. Your approach of switching packaging does not address the real-world reality of counterfeiting. The counterfeiter needs to make PROFITS. Buying genuine packages at retail level so you can manually replace the drugs in them with fakes, aggregate the genuine packages (containing the fake stuff), and then push these back through the supply chain at wholesale level (at lower cost than the purchase price) is a recipe for MASSIVE LOSSES. 3. How will the counterfeiter know that they have purchased a GENUINE pack? How will they know they haven’t themselves been duped without first checking the one-time code? 4. Counterfeiters are business people too. They need their downstream buyers to trust them. If a consumer verifies a pack and is informed that it is fake, they are likely to become extremely annoyed. In most countries, counterfeiting is a felony. Even should they decide not to involve the authorities, they are motivated to spread the word, discrediting that pharmacy, with implications for other collusionists up in the supply chain. 5. No solution in the world can ever be fool-proof, but mPedigree considerably hardens the target. Please be assured I don’t think that. I merely commented that the location of this video (a retail pharmacy) suggested that the problem you are targeting is with retail pharmacists who are corrupt, ignorant or deceived by their distributors. I commented on this because I would have thought the larger counterfeit med market would have been sold by retailers that weren’t pharmacists – which would have looked very different. I think you’ve missed the point I was trying to make. I’m all for reinforcing the image of pharmacists and the critically important work they do BUT this technology provides a brilliant opportunity to NON-pharmacists so that they can position themselves as “trusted quality merchants” eg. “shady retailers” will be some of the first to want to collaborate with you. At no point do I say they need to buy at retail. All you need is a distributor (or a corrupt individual working there) who can see how this might reduce the profits they are already making on counterfeit meds OR who doesn’t want to pay the additional margins for the mPedigree/Orange service to want to break the patient and retailer trust in the system. Then they do this with products that are already in their warehouse so it costs them nothing. 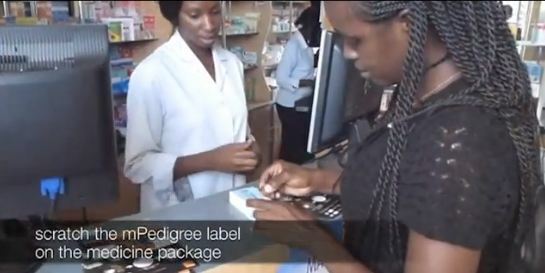 The patient complains to the pharmacist, the pharmacist complains to the distributor, the distributor tells them the mPedigree system has glitches and they can go back to the cheaper old style of packaging if they want. Can you not see how an individual within a distribution chain tampering with packages can create a nightmare for pharmacists at the point of sale when customers have such an easy way to check and are being encouraged to do so? In my opinion the counterfeiters are pretty sure of the genuine/fake distinctions after all for them the study of this packaging is a full time job. Then can check it and then replace the scratch off strip (counterfeiters in lottery markets already do this – that’s why you see intricately patterned designed scratch strips now applied to most of these). Yes, it’s exactly this annoyance and it’s knock on effects that could so easily be used by someone opposed to your system to undermine trust in it. As you know they have big profitable businesses to protect, threats to that will be taken seriously. There are lots of very obvious ways you can make this better and I can point you to people who can help you with that if you’re interested. I’ve argued above that I believe this solution as it is being presently demonstrated provides more opportunities than challenges to counterfeiters. I personally think it’s great that mPedigree and Orange are trying to think up ways of addressing these issues but feel we need to recognise that there are only limited anti-counterfeiting resources available and we should be careful with how we encourage authorities to spend them. We (@ iValueHealth.NET) think the first and foremost thing is to increase health awareness, access to information and medical professionals. Getting into too complicated or scattered services (including change in packaging etc) is not resolving the fundamental problem (even series can be faked). It may contribute to some extend – we don’t challenge or deny that fact. The Doctor2.0 or mHealth or anything similar should initially focus to make health related information accessible, gain trust of people in daily life by easing basic needs like appointments, easy to find, online directory etc. Changing mindset is not just about technology helping but also change in mindset and behaviour – and it can be driven by users/patients but needs to be accepted by medical professionals. So small and steady steps will help – otherwise all this buzz will go as quick as it came. Thank you for the time you have taken to develop an interest in mPedigree. could easily be misconstrued by the public to imply that you grossly underestimate the sophistication and commitment of mPedigree and its stakeholders. As an African solution developed by Africans, there is a temptation for us to be sensitive to criticisms couched in certain terms, but in your instance, our attitude is to take your criticism in complete good faith and to address them as openly and seriously as this medium allows. Thus, we don’t believe you aim to attack mPedigree’s integrity at all. So let us take your scenarios for what they are. 1. Many of your comments leads me to doubt the degree of your understanding of both the medical supply chain/distribution network in Africa and of counterfeiting itself. Have you studied or worked in either? When you say distributors know very well which packaging is/are counterfeiting from years of long trade or experience, you seem to be arguing against the huge amount of data that suggests otherwise: all actors in the supply chain are capable of being duped. A local distributor who imports a consignment of fake medicines from a shady wholesaler from out of the country stand as much risk of being conned as does a normal retailer or consumer. In a complex global supply chain, everyone is at risk. The only person who can be sure of the genuineness of the medicine is the manufacturer. Wholesalers who deal directly with the manufacturer has an elevated degree of assurance, though it is not 100%. Everybody else is at the mercy of historical trust factors in the supply chain. 2. I do not understand the basis of your point that it costs the shady distributor nothing to divert a consignment of medicines for the purpose you describe. Surely they have paid for that consignment? 3. You suggest that when they scratch off the panel and text the code, and then re-apply the scratch, no labour and time is involved. This is not true. To conduct these operations at scale have serious cost implications. 4. When the medicines so compromised/tampered with are supplied to retailers who have had long dealings with this distributor, whose access to market is mediated on the basis of this trust, we approach the height of self-destruction. You are seriously saying that this distributor will assume that when the mass “error” messages start flooding in, the retailer will not get mad? 5. So we will assume that the retailer is in the cartel. 6. You are saying that in a plural market with multiple retailers differently segmented on the basis of which distributor they buy in bulk from, when error messages start flooding specific shops that it is the entire mPedigree system rather than a certain group of shops that will take a credibility hit? 7. You are saying that notwithstanding the cloud computing backend and the full record of who checked what when, that reports by consumers of “mass errors” will not easily be connected to a broken part of the supply chain managed/controlled/occupied by a specific set of distributor(s)? 8. You seem to misunderstand how supply chain visibility works. A distributor is visible on the dashboard based on the system’s understanding of which batch of medicines are out there, where they are, as well as obvious expectations of how many medicines are likely to be checked by one phone number. Let me explain further. 9. For the distributor to evade the system’s radar, they will need to implement a complex GSM modem complex and use as many mobile chips as there are medicines. In every market mPedigree operates, mobile chips must be registered and subscriber details stored by the operators, who, you appear not to know this, ARE PARTNERS in the scheme. Are you seriously suggesting that 100,000 mobile chips can be purchased, used in the implementation of a giant GSM complex so that the medicines can be verified in the distributor’s warehouse in order to “destroy” these 100,000 packs before they are released for the sabotage operations you mentioned? Have you truly thought through the practical implications of trying to game a system like this that relies on telecom networks and cloud computing and which defines actors like distributors, wholesalers, regulators and manufacturers within a “distribution network visibility” framework? 10. My honest view is that you have not taken enough time to understand mPedigree, pharmaceutical sales and distribution in Africa, and counterfeiting with any degree of rigour. Given that you run a public blog the effect of your commentary is more likely to undermine a service with humanitarian goals than to help improve it in these circumstances. We applaud your interest in this subject, and we are happy to continue this public dialogue, but if at any point you feel the need to make your constructive suggestions in private, please email us. Some great further points for us to discuss. Absolutely. I’m always advocating the use of Kenyan mobile developers eg. as we see in this TedXVienna Talk by Alexander Oswald. I have a colleague that I assist who has been working with the Ministry of Health and WHO on their mHealth strategies in Kenya. I also work directly with companies that have leading mobile and pharmaceutical brands that are active in the Kenyan market. I’m very aware of the fraud that happened in the early days of calling and mobile credit scratch cards and I hope that I’m wrong in my doubts of your technology and that it won’t be helping provide ways for counterfeiters to continue profiting from one of the biggest human rights abuses the world faces. No I’m arguing against the use of a scratch card technology by patients to solve this problem. There are other much more effective ways of achieving this that the MOH (for example) is already working on. I think I may have identified a fundamental difference of opinion we have. You seem to presume it’s okay for a “shady wholesaler” to be involved in the supply of medications. I don’t. For simplicity think that the diversion can happen in their own warehouse at the weekend by someone on the inside like a security gaurd. The scammer only needs to reveal the numbers on a package and reapply the foil strip on a few packages per pallet to undermine the system you have built. The scammers only then need to submit the numbers sometime BEFORE a genuine customer tries to do this to break the designed workflow. Although mandatory SIM registration has been introduced in Kenya, mobile operators working in the region still report high levels of multiple SIM ownership as there had been mobile number portability issues, dual SIM mobiles are prevalent, value for money incentives on different networks, etc. Counterfeiters aren’t too concerned about serious cost implications as they are in most cases simply selling packaging – so have few other costs to be concerned about. As explained the costs won’t be significant as they will only need to do this on a FEW packages to undermine the trust in the solution – after all it’s easy to imagine how a single patient going into a pharmacy and scratching a panel to be told “this has already been used” might be enough to undermine confidence in the system. I think the patient will get mad and the retailer will get mad long before you have a “mass” error issue eg. if I was picking up meds for my mother or child and I learnt from a SMS that the pharmacist had given me a package that’s not good I’d be sure to get my money back, never shop there again and tell everyone about it’s shady business practices. Maybe or maybe not. Perhaps it’s just looking to profit from it’s existence? Perhaps it’s also being tricked? Perhaps it’s not happy to help fund a big telco to establish itself in their market? This is a market that already has a credibility problem (your own PR materials recognise a $75 Billion global counterfeit drug market). Why should a patient trust the SMS more than the qualified and registered Pharmacist who has established a shop, get’s referrals from their Doctor and lives in their community? I see no reason why you won’t be able to track it after it’s happened, but no you’re not going to have much luck pin pointing an individual and preventing it happening again if it’s being done by an organised crime outfit. The SMS service is a free one so I can’t imagine it’ll be much of a barrier to find unique users to let them use their mobile to send a SMS if you are involved in profitable organised crime efforts. Perhaps they’ll just approach those in very poor communities with offers of free credit? Or have people with dodgy registered SIMs use it as a condition of buying a top up? So far I haven’t touched on the tracking element of your solution. The fact that you are using such systems opens up many new patient privacy discussions that I think are also important eg. many citizens fear the tracking potential that mobile phone registration legislation has provided to authorities and this will be compounded when you start also adding sensitive medical information (for example that an identified individual is being prescribed antiretroviral meds, has stopped buying TB medications, etc). I’m not for one minute suggesting anything large scale like this needs to happen. There are much smarter ways that I’ve explained that would just require a few packages to be tampered with to undermine pharmacist confidence. Patient confidence will also be low initially until the scammers are trying to compete by setting up their own mPedigree alternatives and patients start realising whatever codes you send you get a “OK Genuine medication” reply. Maybe I’m completely wrong in my doubts that what I’ve seen already is enough to dent the counterfeit medication market but I’m honestly surprised that there’s been so little other criticism of attempts to use SMS to authenticate cheap drugs (FYI Vodafone – or Safaricom in Kenya – also have a solution that seems to have been given much less thought than yours) and surprised you think readers of this blog aren’t going to be intelligent enough to be able to work out that I’m wrong and comment here to correct me. I think there’s value in having this discussed publicly and thank you for being so generous with your time in making these detailed points. The more I read from you the greater my doubt grows about the possibility of having a rigorous discussion in view of your clear lack of familiarity with both the market context and the solution. You make several references to friends and others you know working in the industry and in the region but provides no specifics about what your direct role has been in the areas you cite. Be that as it may, let us examine your latest claims, hypothetical scenarios and thought experiments. 1. You postulate the utterly fascinating scenario in which some colluding guard and his/her employers constitute a large ring of people, send them into the warehouse of a pharmaceutical company or its distributor, armed with scratch-panel applicators (have you ever worked with one of those before?). They will uncover and unscratch packs of genuine medicine, text the valid codes to the hotline, reapply the seals with their machines, tiptoe out of the warehouse and head back into the African sunset. This is all without regard to basic tenets of security printing and anti-tampering labels. 2. These medicines will then be distributed to pharmacies. 3. Consumers buying these medicines will experience error message returns. 4. This will happen in only a few pharmacies, because you clearly do not see the need of so many packets being involved. What is your hypothetical sample number of products? 1000? 5. We will assume 5 pharmacies will be hit, being customers of distributor x. Retailer is angry. Consumers are angry. Everybody complains upwards – the system does not work. 6. What you refuse to accommodate in your nice model is that there is an intelligent application in the backend. The system has analytical capability. It is fairly easy to deduce that within a space of 1 hour in some time past several medicines were authenticated, duplicates (thus counterfeits) of which are now being seen in the supply chain, in connection with certain specific batches handled by so and so distributor. 7. You refuse to acknowledge that this provides precisely the intelligence to detect who the colluders in the corrupt part of the supply chain is and actually help in the real world law enforcement process. 8. Instead you raise a whole new issue about patient privacy, once again assuming that mPedigree stakeholders are unlikely to have given the matter some thought and that phone numbers will be hashed and the system will perform its analytics on aggregate data (eg. x number of duplicates in batch y; etc etc; x number of incidents in y geography; z number of events over y period of time etc). 9. Once again you allow your preconceived notions rather than the need to educate readers lead the discussion. This is unhelpful. If the goal of a public discussion is to educate readers, then having a prejudiced observer drive it is completely antithetical. 10. You then make the bizarre argument that counterfeiters are not interested in money. That they would not evaluate x number of brands and decide to allocate their resources in attacking those with the least impediment. We do not know where you got your impressions from, but based on extensive interactions with a wider range of direct actors in this matter – patients rights groups, manufacturers, regulatory agencies, etc. – we are at a loss as to how you believe your remote perceptions of this matter trumps those of these many stakeholders who directly support the SMS authentication effort and approach. If there is anything at all that is certain, it is that counterfeiters are both profit driven and smart. Their goal is to stay hidden and pretend to offer the real thing. To imagine them running around suburbs recruiting and training people to scratch panels and rebuild them (how many medicines will be defaced in such activities and be unfit for market? And how will a company miss several packs when this industry is one of the most invoice-conscious in the world?) in warehouses etc etc is highly impractical, unrealistic, and armchair-critical without being instructive. 11. By far the most telling aspect of your response are the wrong extrapolations you draw from the mobile airtime prepaid card analogy. The current viability of telcos in the regions where we operate rely nearly entirely on the secure functionality of scratch cards. The industry as we know it would have collapsed was that not the case. How you can use the experience of this industry to pour cold water on scratch-card techniques beat our imagination. Clearly your impressions cannot be based on a comprehensive analysis of the situation in the relevant markets. 12. You mention that you support an alternative approach with which you are more familiar, and which some other entity is pushing in Kenya (?). We presume you are involved in its rollout? That is all well and good. When and if this system is implemented, there would be a basis to compare its merits with mPedigree. Presently though we see no real public interest basis to continue this public dialogue based on hypothetical scenarios and suspicions grounded on opposing vested interests. We are a non-public funded social movement providing free services to the general public and financed through the contributions of pharma companies that have prioritised public health and patient safety. We owe these stakeholders the duty of engaging in public enlightenment, and all are welcome to support that effort, but we really can’t justify the use of our time on debates that do not progress towards greater understanding of the real concerns of patients like this one. Thank you very much, once again, for your interest in mPedigree.